A look back has seen us cover hydroponics systems that are either simple or advanced. Let’s add a nice middle ground to the mix. Ebb and Flow systems are simple, reliable, and low cost but require a little more work and maintenance than a drip system does. Ebb and flow systems (or flood drain systems) are simple setups that use a flood and drain system to keep the growing medium moist. Since the water pump does not run constantly, these systems are quieter and consume less power than nutrient film or direct water systems. The trade-off is that water use is less efficient than in other systems. Since the roots are not in constant contact with the solution, there is more water waste here than in other systems – which can, of course, be mitigated by recycling your water. A growing medium is also required, which means regular cleaning and inspection for fungus or disease is necessary – this becomes an intensive task since the roots of every plant in the system tend to interweave. 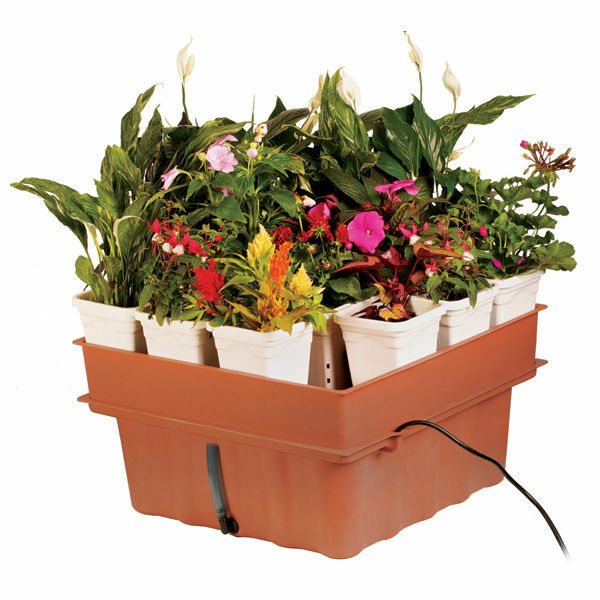 Even so, the system is cost effective and perfect for short plants or leafy vegetables. Ebb and flow systems are also really easy to build. The tray is situated above the reservoir with a drain and simple pots or liners for the plants. The plants themselves should be placed in a grow medium that drains quickly but has a decent amount of moisture retention to keep the roots moist with a film of nutrient solution around the medium. Lava rocks, clay rocks, or rockwool work best for this since they have plenty of surfaces to hold the nutrient solution as a film. An overflow drain should be situated at roughly ¾ the height of your plants; allowing the tray to fill higher risks letting your plants float around. The water fill pipe should be set lower than the overflow drain pipe. Both pipes should lead to the reservoir, which is typically placed underneath the tray as a simple drain return. The reservoir holds your nutrient solution and water pump. Drainage and overflow from the tray replenish the reservoir between pump cycles. The pump itself should be strong enough to push water up through the fill pipe without spouting like a fountain. Pro Tip: Most pumps have a set measurement on how high they can pump water. This measurement is typically listed as HEAD. If the pump is rated for three feet of head, that’s how high it will pump. If the pump is rated in pounds per square inch (PSI), multiply by 2.31 to get an estimate of the maximum height. Usually you’ll want a pump rated for roughly double your intended height. Ebb and flow systems work by filling the tray with solution and letting it drain back to the reservoir – a process that should be repeated several times a day. Fast draining systems in drier climates should cycle the nutrient feed more often. Typically, a timer is installed to regulate the pump cycles in place of manual control. Each cycle fills the tray to roughly 80 percent of the tray height (3/4 of the height of the plant). The pump then disengages and allows the water to drain back into the reservoir. This ebb and flow motion keeps the water aerated while leaving the roots exposed to air through most of the day. The periodic flow prevents standing water and allows a moist film to be left behind on roots and the growing medium to feed the plants during the drained cycle. Since the plants are being fed multiple times throughout the day, you can get by with lower nutrient values in the solution. 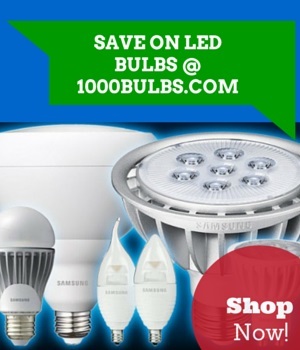 A parts per million (PPM) rating of 600-800 is sufficient. Proper maintenance is essential to plant health in this system. Replenish the nutrient solution in a small tank roughly once a week (larger systems can, of course, last through longer runs). The solution should be reconstituted regularly and should always be pumped through a filter to preserve plant health. Monitor the roots closely and adjust the nutrient solution pH values as needed. Now that you’ve seen how easy an ebb and flow system is, what do you think? Let us know if you try it out and how well it works for you in the comments below. Or send us examples of your setup on Facebook, Twitter, Google Plus, LinkedIn, or Pinterest!